Photo: Looking North Along U. S. Highway 395 Near Nine Mile Canyon. 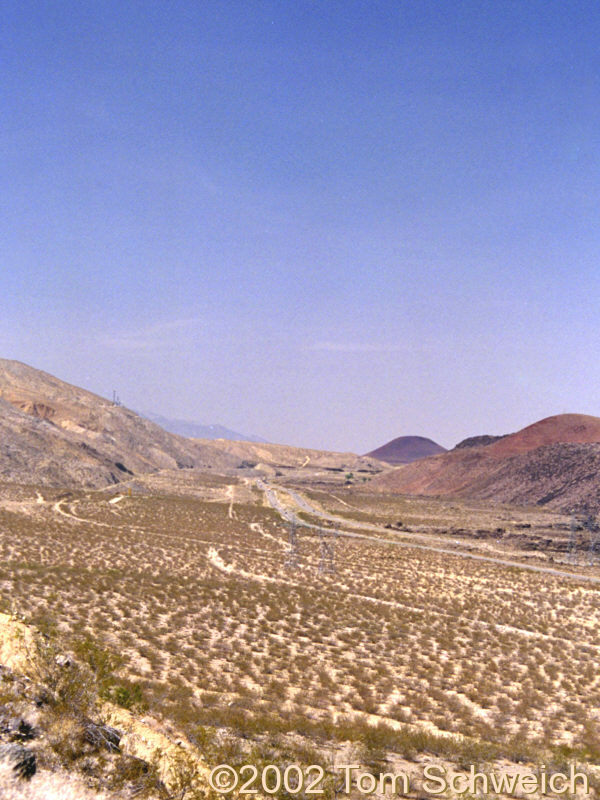 Eastern Mojave Vegetation Looking North Along U. S. Highway 395 Near Nine Mile Canyon. U. S. Highway 395 climbs the grade north out of Indian Wells Valley to Little Lake and Rose Valley. Red Hill can be seen in the distance. U. S. Highway 395: 56500. Other photos about Geography - Northern Mojave or Inyo County.